[+386, -27] Sehun looked frozen when he was taking pics with Lee Byung Hun last time. 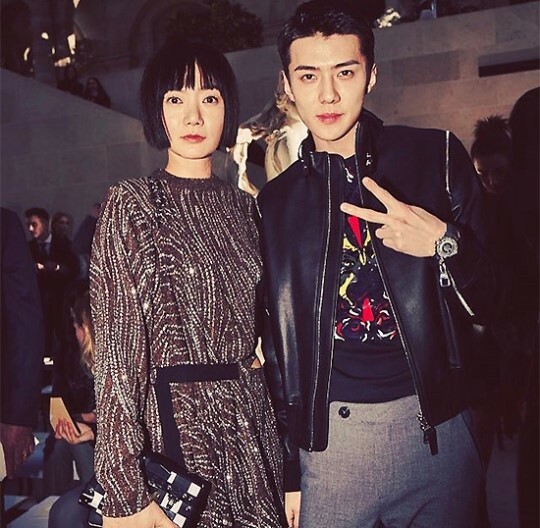 With Bae Doona too, he looks the same. It's so cute. [+337, -24] Wow, their visuals are really something. Seriously so handsome! 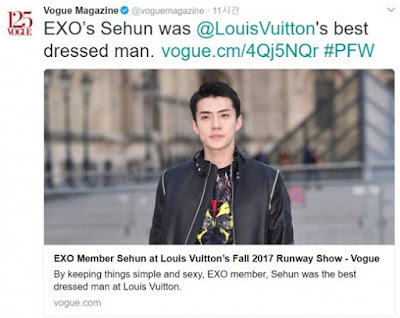 [+281, -7] Congratularions Sehun, what a first in Paris! [+246, -5] The shouts were no joke. Global star Sehun! [+49, -0] Woah, EXO are really popular but I didn't think that even in Paris they'd know Sehun's name. This is really cosmic.